Love cowboys? Love giveaways? Today’s your lucky day! NYT and USA Today Bestselling author Lenora Worth has just released her first Tule novella, Driftwood Cowboy, and we’re celebrating with a caption contest and giveaway for Southern Born readers! All you have to do is leave a comment with a caption for Driftwood Cowboy‘s gorgeous cover. 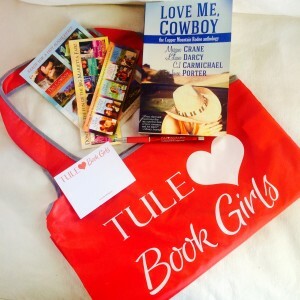 We’ll pick our favorite to win a copy of Love Me, Cowboy and tons of reader swag! Good luck, Book Girls! A winner will be announced May 1st! Enjoy an excerpt from Driftwood Cowboy! Being outside at the beach makes love irresistible! I like Love On The Beach. It is a great cover. Don’t lean so far you fall off! I love this giveaway. Today is my birthday, so it’s nice to give gifts to others!!! Can I have a different tonight? Nothing better than this moment. Horse to Horse: When do you think they’ll notice the tide is coming in? Riding off to our happily ever after….one kiss at a time. I love your books. They are all great. Handsome cowboy on a horse at the beach kissing me, I just fell in love. Louisiana meets Florida on the beach.